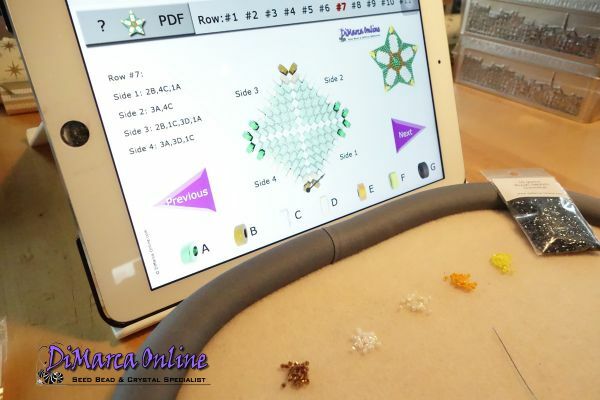 This beading pattern is an INTERACTIVE Tutorial. 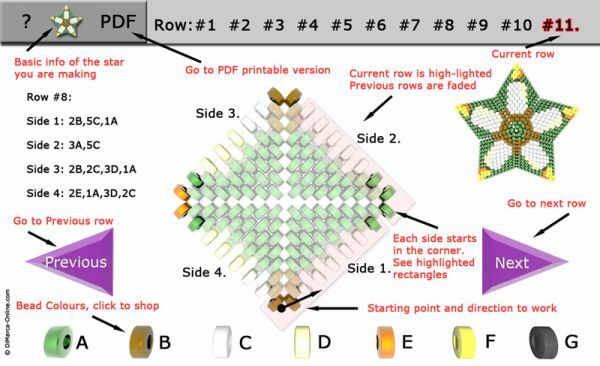 It provides a step-by-step colour diagram and text to create the Candle 3D Peyote Star. You will receive an e-mail with a link to access the interactive tutorial. Here you can also download the PDF file. 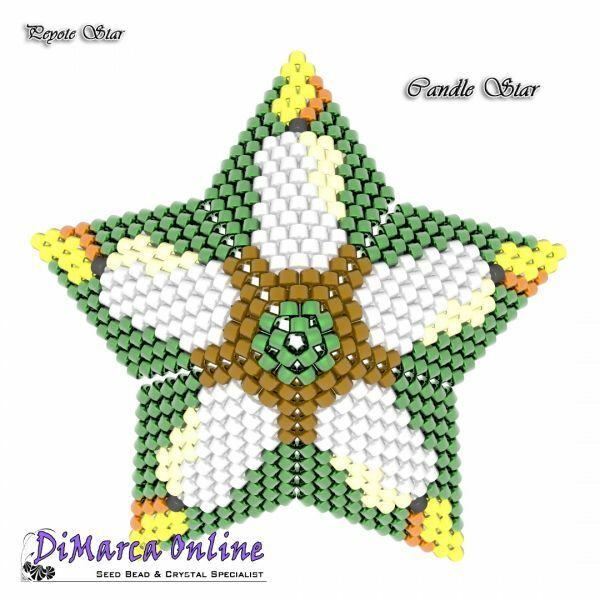 If you are not familiar with how to create a 3D Star in peyote, we would like to refer you to our basic tutorial: "Little 3D Peyote Star"